This photo was posted on the Bygone Bedlington site and the brother & sister that posted it have been told it's Bedlington Mechanics, post WWII. Their granda is No 3 = Charlie Rand and his friend is No 12 Ned Riddle. The two named used to work as mechanics for Jennings of Morpeth. We have had the local Bedlington Mechanics 'historians' - Ovalteeny & Reedy + his dad - check the photo out and they all believe this is not a Bedlington Mechanics team. None of the people in the photo; the cup & shield or the pavilion can be identified. Anybody on this site any ideas? 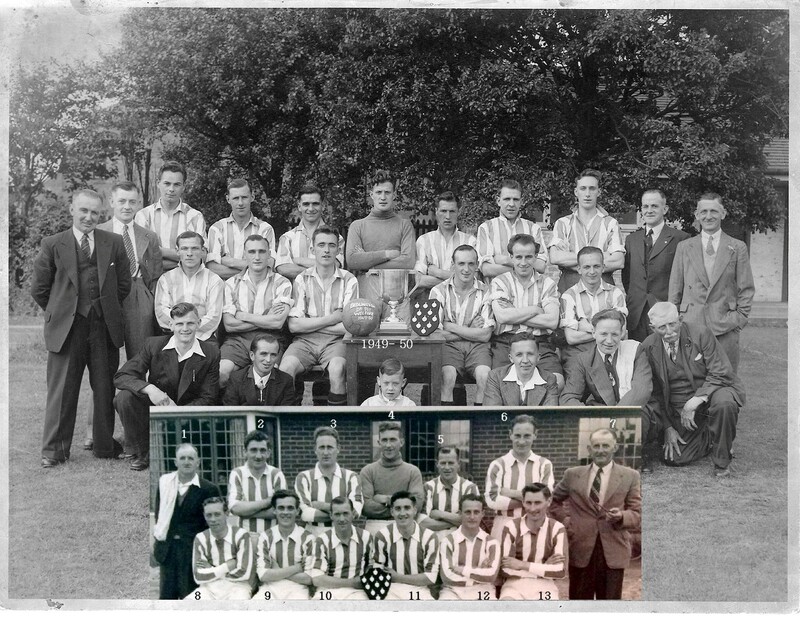 Bedlington Mechanics wore red & white "Arsenal" type shirts and played at Millne Park behind the market place in the 50's.This photo could be Bedlington Welfare who were green & white stripes at that time.The picture could be at Welfare Park in front of the bowling pavilion. 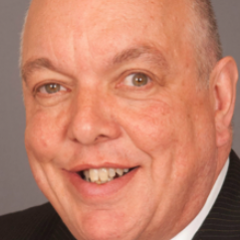 Cheers Joe, we did consider the Welfare team, but just can't prove it. 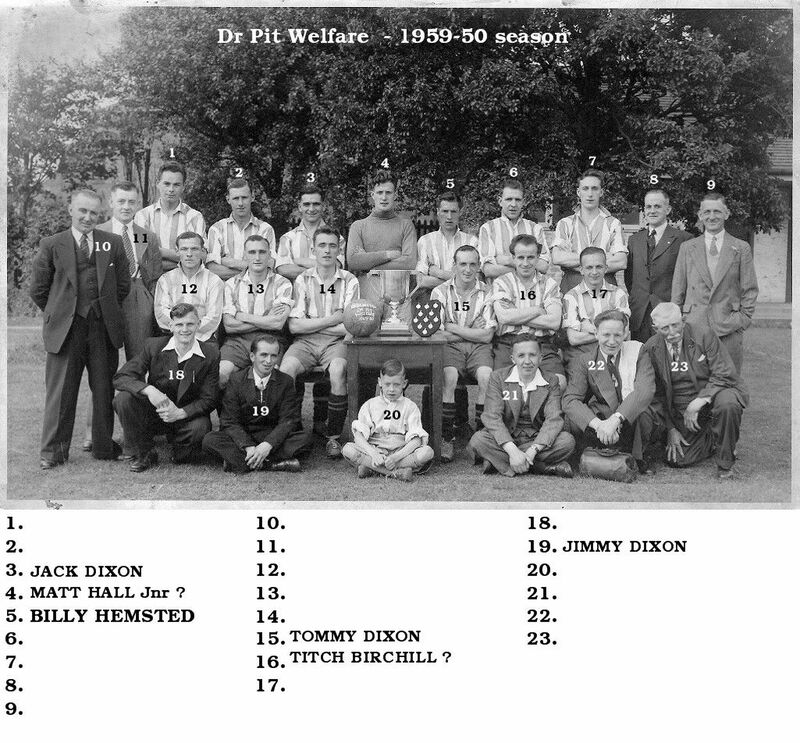 We have a couple of photos of the Dr Pit Welfare team - 1944-45 season, wearing hooped shirts, and one from 1949-50, wearing striped shirts but we can't match up any of the players in the 'unknown' team with the others. 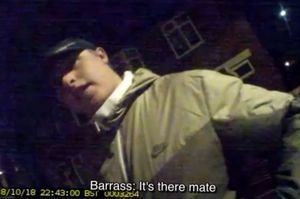 On the 'not sure?' 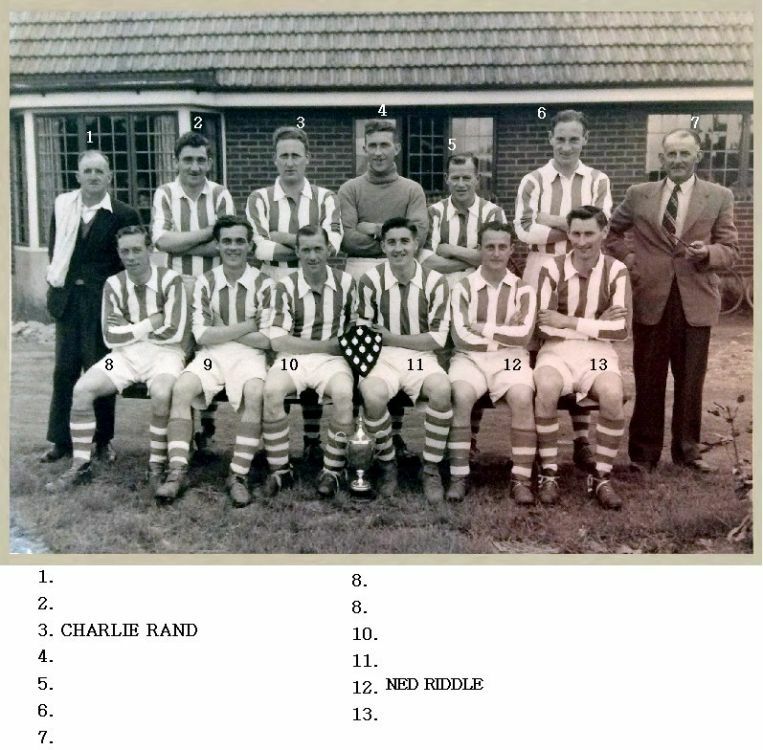 photo Mick Stewart (Facebook - Morpeth History Matters) says :- looks like a few Widdrington lads in that photo, I think 2 is Wilf Kelly, - 10 Jimmy Bolton and 11 Archie Morton....................could be wrong though.